Lori has been enjoying the art of dance since the age of three. With over 50 years of dancing and teaching experience, Lori maintains her love and dedication of mastering the art of dance, and continues to enjoy working with children and sharing her knowledge and experience. "It has been my experience in teaching all forms of dance that every student is a unique individual, and as such, it is my goal to take that student's talent and develop it to it's fullest potential. Through physical conditioning and mental discipline, I strive to build self-confidence and achieve a high level of self-esteem in all of my students." Kelli has been dancing for over 33 years and began assisting dance instructors in 1995. She was an eight season member of the Braintree High School Varsity Dance Team. Kelli has trained at the Boston Ballet School in Norwell, Massachusetts , and has had training with the Dance Teachers Club of Boston . In July of 1999 she was chosen to become a member of The Universal Dance Association "All-star" Team, with an invitation to dance in Paris, France at the New Years' Eve Millennium Parade. She was also selected to tour China in the summer of 2000 as a member of a Dance Team to promote the upcoming Olympic Games. Kelli has been instructor has worked in various Recreation Department Cheerleading/Dance and Theatre programs on the South Shore. Kelli has been accepted into the prestigious Alvin Ailey Summer Dance Program in New York City in 2003 & 2004. She was a member of the BHS Musical Theater Guild for three years, in which she performed in numerous musicals. Kelli received her Bachelor of Arts Degree in Dance in May of 2005. She adopted the Creative Movement Class for 2 1/2 - 4 yr. aids at our studio in 2001, and the program is still running, as well as beginning Hip Hop and Modern Dance sessions in 2002. Kelli is also currently an instructor for Dance Out in Canton, where she teaches the Ballet program; going into her 7th season with them! 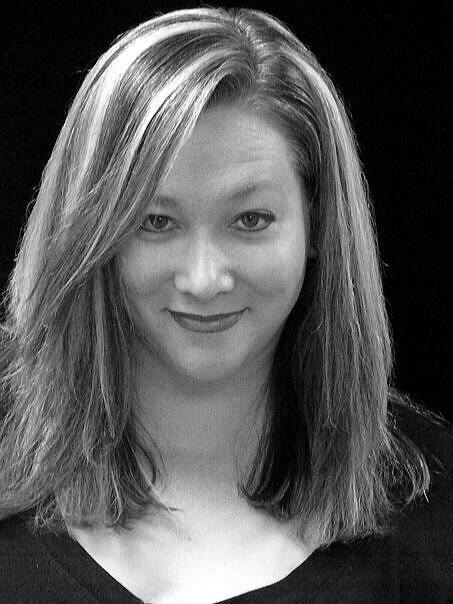 Kelli also works with the Braintree High School Musical Theatre Guild on choreography. Kelli is lovely young women, a talented dancer, and a kind and giving teacher! Her stage presence is an inspiration to all. Danielle started dance at The Quincy School of Ballet when she was was 2! She started dancing at B.A.D when she was 9. Throughout the years Danielle took classes in ballet, tap, jazz, pointe, modern & hip hop at B.A.D. She graduated in from North Quincy High in 2007. Danielle was on the North Quincy High Dance Team all four years. She is currently working towards her RN degree at Quincy College & helps at the studio as much as she can. We are fortunate to have Danielle as part of our dance family and teacher, she is always there when we need her! She is wonderful with the kids & sets a great example too! Mary has been a part of our studio since she was 6. At an early age she showed promise as a talented dancer. She continued to dance with us until she graduated High School in 2008! While she was at the B.A.D she studied, ballet, tap,& jazz as a member of our Dance Company, pointe, hip hop, lyrical, modern & was a member of our Dance Team. In the Fall of 1999 she began assisting at our studio. Mary is a Graduate of Braintree High School, where for all four years was a member of the Varsity Dance Team, and was Captain her Senior year. She graduated from Western New England College where she is a biology major with a minor in chemistry! She is currently also a Vet Tech at Randolph Animal Hospital. Mary was a member of the WNEC Dance Team & one of their choreographers! Mary's technique and dedication set a fine example for the other students to follow. Her maturity level while working with younger children is an asset to this studio. where she was a member of the Kidsdance Co. I, II and a member of the Youth Dance Co. As a member of these companies, she performed in Disney World, on the WBZ Childrens Hospital Telethon, the WBZ KidsFair, participated in Company Dance with Paula Abdul, and at many local homecomings and fairs. Stephanie has had the pleasure of training with some of the top teachers in the country including Nailah Bellinger, Adrienne Hawkins, J.T Jenkins, Frank Hatchett, Joe Lanteri, John Crutchman and Sandi Duncan. Stephanie has been teaching teaching and working with small children, teens and adults for over 10 years. She teaches creative movement, ballet, tap, jazz, modern, and lyrical. Her work and choreography won the 2009 American Dance Awards Diamond Choreographers Award, 2011 The Dance Xplosion Entertainment Award, the 2011 Xcalibur award and the 2013 Elite Dance Challenge Best Choreography Award. Along with her work at Braintree Academy of Dance, Stephanie has taught at Northern Essex Community College, Mary OBrien School of Dance, Donna Miceli's Dance Center, and North Reading School of Ballet. She also does private lessons and competition choreography. This year Stephanie opened her own studion, Creative Arts Dance Academy, in Andover, MA! We are happy & fortunate to have her at our studio again this year! Kristen has enjoyed choreographing and directing for high schools and for local musical theatre companies, has cross-trained local gymnasts and skaters and has shared her love of dance through daycare and preschool programs. She is proud that many of her students have become professional dancers, teachers and studio owners, themselves. She is currently teaching at dance studios throughout Massachusetts and New Hampshire and is currently on the faculty of North Reading School of Ballet and Phunk Phenomenon, Everett. Miss Kristen has an early childhood background and believes that the educational process in the classroom is equally important as the finished product we enjoy on the stage. Jessica Brewer has been dancing for over 25 years and teaching classes across Massachusetts over the past two decades. Growing up, Jessica trained at Sherry Gold’s (now The Gold School) in Brockton, MA and was part of their competition team for many years, competing in national and international competition such as Dance Masters of America, American Dance Awards and Star Power. During this time, Jessica trained with teachers such as Rhee and Rennie Gold, Mia Michaels, Mike Minery, Nailah Bellinger, Larry Sousa, Kathy Kozul and many others. She continued to dance at Suffolk University and served as captain of their dance team there. When she is not teaching dance classes, Jessica is a fourth grade teacher in a local public school, and is licensed in both General Education and Special Education. A teacher by day and night, Jessica strives to bring her love of the arts to the students in her classes and it is her goal that all students are able to learn and grow through dance.